Default on the public debt, nationalization of the banks, and a citizen dividend could actually save the Italian economy. Grillo’s is the party of “no.” In a candidacy based on satire, he organized an annual "V‑Day Celebration," the "V" standing for vaffanculo (“f—k off"). He rejects the status quo—all the existing parties and their monopoly control of politics, jobs, and financing—and seeks a referendum on all international treaties, including NATO membership, free trade agreements and the Euro. "If we get into parliament,” says Grillo, “we would bring the old system down, not because we would enjoy doing so but because the system is rotten." Critics fear, and supporters hope, that if his party succeeds, it could break the Euro system. To govern, one needs ideas and a strategy for implementing those ideas. Grillo’s team has neither. They are defined more in terms of the things they are against than things they are for. It’s fine to want to “throw the bums out”, but that won’t put people back to work or boost growth or end the slump. Without a coherent plan to govern, M5S could end up in the political trash heap, along with their right-wing predecessors, the Tea Party. a guaranteed “citizenship” income of 1000 euros a month. It is a platform that could actually work. Austerity has been tested for a decade in the Eurozone and has failed, while the proposals in Grillo’s plan have been tested in other countries and have succeeded. The public debt has not been growing in recent years because of too much expenditure . . . Between 1980 and 2011, spending was lower than the tax revenue by 484 billion (thus we have been really virtuous) but the interest payments (on the debt of 2,141 billion) that we had to pay in that period have made us poor. In the last 20 years, GDP has been growing slowly, while the debt has exploded.
. . . [S]peculators . . . are contributing to price falls so as to bring about higher interest rates. It’s the usurer’s technique. Thus the debt becomes an opportunity to maximize earnings in the market at the expense of the nation. . . . If financial powerbrokers use speculation to increase their earnings and force governments to pay the highest possible interest rates, the result is recession for the State that’s in debt as well as their loss of sovereignty. During the three decades to 2010, China achieved perhaps the most rapid sustained rate of economic development in the history of the human species, with its real economy growing almost 40-fold between 1978 and 2010. In 1978, America’s economy was 15 times larger, but according to most international estimates, China is now set to surpass America’s total economic output within just another few years. Capitalism's triumph in China has been proclaimed in countless books in recent years. . . . But . . . the higher reaches of its economy remain comprehensively controlled in a way that is the antithesis of everything we associate with Western capitalism. The key to this control is the Chinese banking system . . . [which is] not only state-owned but, as in other East Asian miracle economies, functions overtly as a major tool of the central government’s industrial policy. Grillo’s third proposal, a guaranteed basic income, is not just an off-the-wall, utopian idea either. A national dividend has been urged by the “Social Credit” school of monetary reform for nearly a century, and the U.S. Basic Income Guarantee Network has held a dozen annual conferences. They feel that a guaranteed basic income is the key to keeping modern, highly productive economies humming. In Europe, the proposal is being pursued not just by Grillo’s southern European party but by the sober Swiss of the north. An initiative to establish a new federal law for an unconditional basic income was formally introduced in Switzerland in April 2012. The idea consists of giving to all citizens a monthly income that is neither means-tested nor work-related. Under the Swiss referendum system of direct democracy, if the initiative gathers more than 100,000 signatures before October 2013, the Federal Assembly is required to look into it. The Bank of Italy a private join-stock company, ownership comprises 10 insurance companies, 10 foundations, and 10 banks, that are all joint-stock companies . . . They issue the money out of thin air and lend it to us. It’s the State who is supposed to issue it. We need money to work. The State should say: “There’s scarcity of money? I’ll issue some and put it into circulation. Money is plentiful? I’ll withdraw and burn some of it.” . . . Money is needed to keep prices stable and to let us work. Major C.H. Douglas, the thought leader of the Social Credit movement, argued that the economy routinely produces more goods and services than consumers have the money to purchase, because workers collectively do not get paid enough to cover the cost of the things they make. This is true because of external costs such as interest paid to banks, and because some portion of the national income is stashed in savings accounts, investment accounts, and under mattresses rather than spent on the GDP. To fill what Social Crediters call “the gap,” so that “demand” rises to meet “supply,” additional money needs to be gotten into the circulating money supply. Douglas recommended doing it with a national dividend for everyone, an entitlement by “grace” rather than “works,” something that was necessary just to raise purchasing power enough to cover the products on the market. In the 1930s and 1940s, critics of Social Credit called it “funny money” and said it would merely inflate the money supply. The critics prevailed, and the Social Credit solution has not had much chance to be tested. But the possibilities were demonstrated in New Zealand during the Great Depression, when a state housing project was funded with credit issued by the Reserve Bank of New Zealand, the nationalized central bank. According to New Zealand commentator Kerry Bolton, this one measure was sufficient to resolve 75% of unemployment in the midst of the Great Depression. Bolton notes that this was achieved without causing inflation. When new money is used to create new goods and services, supply rises along with demand and prices remain stable; but the “demand” has to come first. No business owner will invest in more capacity or production without first seeing a demand. 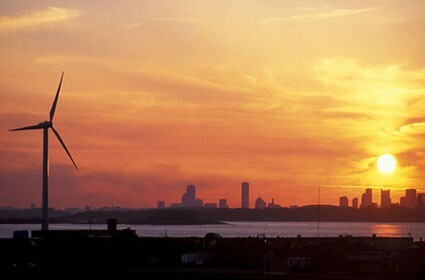 No demand, no new jobs and no economic expansion. The money for a guaranteed basic income could be created by a nationalized central bank in the same way that the Reserve Bank of New Zealand did it, and that central bank “quantitative easing” (QE) is created out of nothing on a computer screen today. The problem with today’s QE is that it has not gotten money into the pockets of consumers. The money has gotten—and can get—no further than the reserve accounts of banks, as explained here and here. A dividend paid directly to consumers would be “quantitative easing” for the people. A basic income guarantee paid for with central bank credit would not be “welfare” but would eliminate the need for welfare. It would be social security for all, replacing social security payments, unemployment insurance, and welfare taxes. It could also replace much of the consumer debt that is choking the private economy, growing exponentially at usurious compound interest rates. As Grillo points out, it is not the cost of government but the cost of money itself that has bankrupted Italy. If the country wishes to free itself from the shackles of debt and restore the prosperity it once had, it will need to take back its monetary sovereignty and issue its own money, either directly or through its own nationalized central bank. 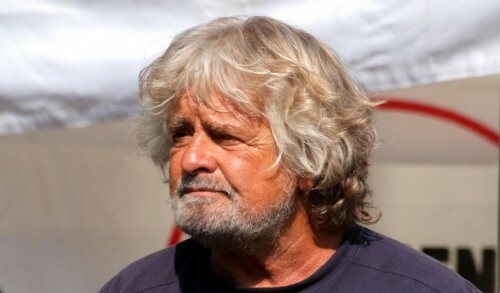 If Grillo's party comes to power and follows through with his platform, those shackles on the Italian economy might actually be released. Ellen Brown is an attorney and the author of eleven books, including Web of Debt: The Shocking Truth About Our Money System and How We Can Break Free. Her websites are webofdebt.com and ellenbrown.com. She is also chairman of the Public Banking Institute. Details of the June 2013 Public Banking Institute conference are here. (Viña del Mar, Agosto -Septiembre de 1996). Voy a comenzar por agradecer a los organizadores de este coloquio iberoamericano el haberme permitido tomar la palabra hoy, por desgracia sin estar presente físicamente, lo que lamento mucho. Enseguida, os deseo sacar un gran provecho de este Encuentro; deseo también larga vida a todas vuestras iniciativas y sobre todo a vuestras revistas, por que ellas son las que nos permiten comunicarnos, traducirnos mutuamente, hacernos conocer a, nuestros respectivos públicos, pese a las decenas de miles de kilómetros que nos separan. Nosotros los animadores de la asociación Synergies Européennes, hemos tenido este verano (boreal, ndlR.) una semana de trabajos ideológicos particularmente fecunda, que nos ha permitido esclarecer nuevas facetas de nuestra Weltanschaung, rozarnos con nuevas disciplinas y salir de nuestros propios senderos trillados sin alejarnos de nuestros objetivos fundamentales. Todos los textos disponibles de esta universidad de verano os serán comunicados, por supuesto, a fin de acentuar y profundizar nuestra fraternidad de espíritu. Todos los participantes en la IV Universidad de Verano de Synergies Européennes os desean, por lo tanto, un franco éxito en vuestras empresas. Señoras, señoritas, señores, queridos amigos: Yo desearía hoy introducir nuestra comunidad de combate cultural a nuevas temáticas globales. En efecto, verificamos que la ideología dominante, salida del discurso de las Luces, salida de todas la etapas del gran desencantamiento occidental comprobado por Max Weber, no está más en el caso de enfrentar los problemas que ha generado ni de resolver los disfuncionamientos calamitosos o catastróficos que ha provocado. Las ideologías dominantes o prácticas políticas que derivan de ellas , comprendidos los partidos que se dan la etiqueta "cristiana" o "conservadora", han prometido el"progreso", es decir una planetarización del desencantamiento moderno e ilustrado; pero, vista la resistencia ontológica de los hechos de vida, vistos los límites de los recursos vitales, vista la finitud humana, estas prácticas ideológicas dominantes no pueden realizar más ningún progreso sin poner en peligro el fundamento mismo de la Vida, sin inferir heridas siniestras al mundo real y orgánico: por esto, ya no se puede hablar razonablemente de "legitimidad progresista". Esta verificación nos obliga a proponer una alternativa a esta ideología dominante, porque ésta pierde completamente su función de "puesta en forma" del dato humano y natural, lo que se percibe de inmediato en la desvalorización generalizada de las instituciones políticas derivadas de esa ideología dominante, en sus disfunciones, en los efectos perversos que se multiplican, en la podredumbre general que se observa en Europa occidental, y en los países del antiguo Pacto de Varsovia. En Bélgica, por ejemplo, este verano, luego del desmantelamiento muy parcial de una red de pedofilia que asesinaba a sus víctimas -nada más que la punta emergida del iceberg- la población ha podido comprobar el laxismo aterrador de los aparatos judicial y policial, los silencios cómplices, los velos púdicos lanzados sobre una realidad sórdida, y ha perdido totalmente la confianza en las instituciones llamadas "democráticas"; una lámina de fondo general atraviesa el psiquismo popular e instala en nuestros países una oposición hosca entre el pueblo y los aparatos institucionales, que el gobierno, la magistratura y los servicios de policía difícilmente podrán controlar en el futuro próximo. Por lo demás, la acumulación de los problemas ecológicos, el no-dominio por los gobiernos de los flujos comunicacionales, demográficos y económicos, constriñen incluso a los más apacibles de los ciudadanos a poner en duda los esquemas políticos convencionales, a fin de salir de la crisis moral que atraviesa hoy Europa occidental. Esta crisis nos interpela en todos los dominios de la actividad humana y política. Para ser concisos, me referiré exclusivamente a las cuestiones que plantea un hombre de izquierda alemán, un ingeniero especializado en las energías alternativas. Hermann Scheer, en una obra significativamente titulada Zurück zur Politik (¡Retomo a la política!). Scheer, como los discípulos de Schmitt, verifica el "adormecimiento" de la función de lo político, la declinación de la res pública* la cesura problemática que existe ahora entre los proyectos y las promesas de los gobiernos. Próximo de los ecologistas, Scheer comprueba también, como los discípulos de Roberto Michels, que las actitudes rígidas de los partidos en plaza, hostiles a las ideas nuevas, a los métodos ergonómicos nuevos, que los obligarían a modificar de cabo a rabo sus estructuras internas, bloquean toda evolución. Scheer señala con el dedo el proceso de oligarquización, primer responsable de la declinación de la res pública. Las nuevas categorías de ciudadanos, los ciudadanos que para ejercer su profesión deben apelar a nuevos métodos ergonómicos, basados sobre relaciones diferentes de las previstas por las legislaciones y los reglamentos, chocan con los hábitos establecidos que protegen los partidos del poder occidental. Este poder se defiende decretando "poujadistas", "fascistas", "irracionales" o "neocomunistas" los desiderata de esas nuevas categorías de ciudadanos, bloquea el acceso de los innovadores a la función pública, corta los subsidios a ciertas investigaciones, defiende sus posiciones obsoletas, tanto que se obtiene a fin de cuentas una oposición muy tajante entre ciudadanos activos y partidos esclerotizados, mostrándose éstos incapaces -si no se ponen ellos mismos fundamentalmente en discusión- de integrarlos nuevos hechos del mundo y los nuevos ajustes sociales. En Italia, en Alemania, en Bélgica, en los Países Bajos, se comprueba una aversión más y más generalizada de los votantes respecto de los partidos políticos establecidos: los no-votantes y los votos protestataríos se multiplican desde hace más de diez años, la no-renovación de las adhesiones militantes es crónica, por la simple y buena razón de que los programas, más y más vagos y flojos, no corresponden mas a los hechos de la vida. Y si no hay más concordancia entre los hechos de la vida (sean los que sean) y el discurso de legitimación política -que decae en puro discurso "legalitario"-, es justamente que el discurso no puede de ningún modo estar en concordancia con los flujos vitales, que no es más que frases y enchapado; mejor: que finalmente no ha sido jamás otra cosa. Aleksander Zinoviev destaca la existencia de "adiposidades" y de estructuras parasitarias en las instituciones generadas por el occidentalismo: el Estado anhelado por los liberales es efectivamente débil porque es gordo y pesado, sobrecargado de "adiposidades"; como lo había reclamado antaño Guillaume Faye en las filas de la "nueva derecha" -antes de ser expulsado de ella por toda clase de intrigas escandalosas-, nuestra visión del estado debe ser la de un Estado flexible, esbelto y fuerte. La inadecuación fundamental entre flujos vitales y discursos solemnes es lo propio del más tenaz de los fundamentalismos : el fundamentalismo occidental, denunciado como tal por Scheer , o denunciado como "occidentalismo" por Zinoviev, con una extrema frialdad de análisis, sin sucumbir a la menor ilusión ideológica o política. El occidentalismo reprocha a los fundamentalismos religiosos o a los nacionalismos el negar la pluralidad de los valores -y el relativismo que de ella emana- y, sobre todo, no contemplar la eventualidad de su propio fracaso. Scheer, sin embargo, comprueba que las catástrofes ecológicas, la anomia y el individualismo, que destruyen los resortes de las comunidades y de la solidaridad, son a corto plazo otros tantos peligros mortales portados por la ideología occidental de las Luces, ¡que por consiguiente, no reconoce tampoco la eventualidad de su fracaso! Esta ideología, en sus aplicaciones prácticas, se estrella hoy contra límites o de obstáculos que hubieran podido frenar su ".progreso", su desarrollo y su despliegue planetarios. Justamente éste no se deja transponer al planeta entero, visto los límites de los recursos energéticos y, más simplemente aún, del espacio habitable. En el dominio de las ideologías irrealizables y por tanto peligrosas, el neoliberalismo de los años 80 toma el relevo de un "liberalismo" sesentayochista, tan falso como ilusorio, que se presenta como el cantor de una libertad ilimitada de comerciar, producir, vender o pensar, mas usa de los nuevos medios de telecomunicaciones informáticas para centralizar a ultranza la información y eliminar a los productores y a los vectores de información más pequeños, más originales y más independientes. A pesar de sus discursos, el neoliberalismo no es libertario, sino extremadamente monopolista: no es derregulacionista. como lo afirma en voz alta, sino que apunta al reemplazo planetario de las regulaciones estatales por regulaciones privadas, menos controlables, no sometidas a la aprobación de asambleas y que no persiguen sino objetivos económicos y financieros. En un contexto tal, el hombre no es más percibido y valorizado sino como productor y consumidor : si intenta escapar a esta lógica hipermovilizante e hipercinética (Sloterdijk), si busca conservar espacios de creatividad, si se interesa en valores o actividades no mercantiles se aisla automáticamente en estatutos sociales considerados como "inferiores"; tal es la suerte del pequeño productor, de los artesanos o de los industriales locales (en empresas de anclaje regional), tal es la suerte del docente, del personal médico, del artista, de las profesiones "liberales", de los investigadores, etc. No siendo su "rentabilidad" una rentabilidad maximalizante a corto término, su grado de integración en la sociedad neoliberal disminuye día a día el personal subalterno que les está ligado arriesga permanentemente la exclusión social. Las sociedades llegan a ser "duales", oponiendo categorías siempre más reducidas de "integrados" a masas más y más considerables de "excluidos". Es forzoso comprobar que en todas las "periferias", en todas las zonas juzgadas no rentables o menos rentables, entre todos los productores modestos rechazados a la "periferia" de su sector profesional, la necesidad de "proteccionismo" crece, en primer lugar para evitar una extrema dualización de la sociedad, una ruina catastrófica de sus sectores no mercantiles y una marginalización definitiva de los países más débiles. La lucha planetaria contra la cesantía pasa por un recentramiento de las energías sobre territorios restringidos, Es la razón por la cual hemos reivindicado en nuestra última universidad de verano, conjuntamente con el equipo de la revista italiana Tellus (de Luisa Bonesio y Catarina Resta), el anclaje (o el re-anclaje) de todo pensamiento, incluyendo todo pensamiento político, en la "Tierra", sobre suelos particulares, restringuidos, limitados. Catarina Resta habla de la "autoctonía del pensamiento" y explora las obras de Fichte, Hegel, Hölderlin y Heidegger en buscar todas las formas de conceptualización de los arraigos y de los anclajes, siempre disipando preventivamente, al pasar, todos los trucos ideológicos que apuntan a poner la ecuación "arraigo = preludio al exterminismo nacional-socialista" -el rechazo del otro en el nazismo es simultáneamente rechazo de autoconstrucción dialógica; la identidad, sin confrontación con el Otro, se seca y termina por morir-. El retorno a la autoctonía de todo pensar, preconizado por Catarina Resta, es una respuesta al llamado que nos lanzaba Cari Schmitt a la lucha contra todas las formas de des-localización, de Ent- Ortung. Entre los sociólogos del MAUSS se habla de una "necesaria recontextualización de las economías", porque, en el contexto de la intelligentsia parisina, siempre se es reticente en aceptar el contexto de "autotocnía de todo pensar" o a citar a Cari Schmitt, a causa de residuos tenaces de germanofobia. No obstante, las iniciativas del MAUSS - y más precisamente la del sociólogo Serge Latouche - merecen ser citadas al margen de dos más vastos movimientos norteamericanos: el comunitarismo y el biorregionalismo. Como todos sabéis, el comunitarismo es la respuesta de los intelectuales norteamericanos a la anomia que encuentran en su propia sociedad y que es el resultado de la desagregación de todos los anclajes sociales y de todos los lazos no económicos que unen a los hombres entre sí: la reflexión comunitaria parte del libro de John Rawls, A Theory of Justice, que discutía el monopolio del utilitarismo en las ciencias sociales y sugería una alternativa, una concepción comunitaria de la justicia, tendiente al bien común, implicando una generalización de esa virtud de fairness, que debería adquirir en todos el mismo estatuto de evidencia que la teoría de los derechos naturales en las tradiciones contractualistas dominantes en las diversas formas de liberalismo occidental, sobre todo en los países anglosajones. El biorregionalismo es la forma norteamericana, parcialmente indigenista - en el sentido en que la herencia amerindia desempeña un papel primordial en la elaboración teórica de este biorregionalismo-, de la práctica del re-anclaje local, telúrico, de todo pensamiento político. El biorregionalismo busca la adecuación del hombre con el sitio en el que vive. derechos naturales), y las tradiciones europeas de la "subsidariedad", heredadas de Althusius y de Otto von Gierke, dos autores que preconizan una tríada que resume muy bien nuestra opción en materias sociales: comunidad, solidaridad, subsidariedad. Este trabajo de investigación en profundidad de todas esas herencias y tradiciones, este trabajo de defensa y de ilustración significa también que se deberá salir definitivamente de los encierros que nos ha impuesto la lógica binaria del maniqueísmo político convencional; es decir salir del encierro en una izquerda fija o esclerotizada o en una derecha también fija y esclerotizada, en las repeticiones hasta la saciedad de los mismos esquemas y las mismas formulas. La ideología del "occidentismo" (Zinoviev) es la resultante de innumerables arroyos ideológicos que han terminado por formar un poderoso torrente. La alternativa se formará también de muy numerosos arroyos que formarán a su vez un formidable torrente. Las temáticas nuevas, todas críticas con respecto a la herencia de la Aufklürung, abren a nuestras comunidades de trabajo y de combate nuevos campos de investigación. Sería irresponsabilidad histórica no emprender muy pronto ese trabajo y confrontarlo sistemáticamente a nuestras adquisiciones. Yo habría querido ser mucho más preciso en mi exposición, pero creo haber señalado -brevedad obliga- las principales pistas en las que habrá que comprometerse desde mañana; ¡ Me resta expresaros mis sentimientos de camaradería y de solidaridad, desearos un feliz éxito y transmitos una vez más los saludos de vuestros amigos europeos !